Exercise To Music is a great way to earn a living or an extra income with the added bonus of staying fit and healthy. Here at GXT we make learning to teach ETM quick and simple with our online qualification. If however you need a further helping hand we have regional mentors who will help you gain the practical skills needed to teach professionally. We understand 100% what it is like to stand up in front of a group and we prepare you to take first class Exercise to Music sessions. We are delighted to provide the Focus Awards Level 3 Award in Designing Pre and Post Natal Exercise Programmes. This is an extremely important qualification for any instructor offering fitness information to pregnant women. It is designed to train learners to a professionally competent level, enabling them to design an individualised programme for pre and post natal clients. is this qualification accredited by CIMSPA? These 2 popular qualifications come as a package price with a 10% discount. You can pay for this package in full or in 4 part payments. Successful achievement of all six units must be achieved for the full qualification. Successful achievement of all units must be achieved for the full qualification. Your practical class is via a DVD submission, you will film a 60 minute class including 5 – 12 people. Unit 1 This unit is internally assessed using a worksheet consisting of 14 questions. In order to achieve a pass a minimum of 38 marks must be achieved. ETM FULL QUALIFICATION – There are no specific pre-requisite qualifications, but there is an element of discussing, presenting, reading and writing involved and learners should have basic skills in communication. This certificate must be included in your registration. Certification will not be allowed until we receive this certificate. The ETM course costs £475 for the full qualification which is fully inclusive of all learning materials and assessment. The Pre & Post course cost £270 for the full qualification which is fully inclusive of all learning materials and assessment. 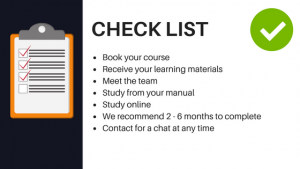 You will receive both courses with a discount of 10% making it a total of £670 with the option of paying in 4 monthly instalments of £167.50 ( interest free). We have tutors to help you throughout. Our interest free part payment scheme allows you to pay in separate instalments. The first payment is made as you book and subsequent payments are automatically taken on the same date the following months. We offer 4 months for the full qualification and 2 for 2 units.